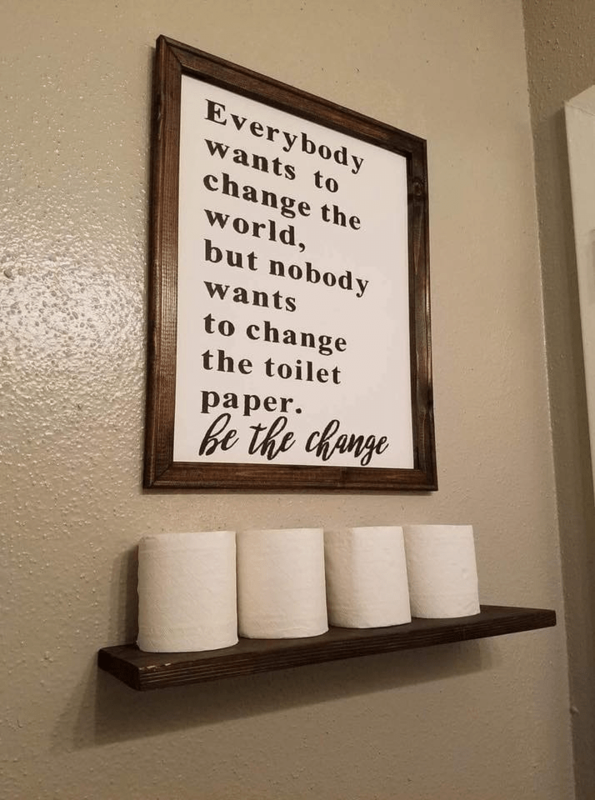 Humor: Restroom Signs - Create! Teach! Inspire! 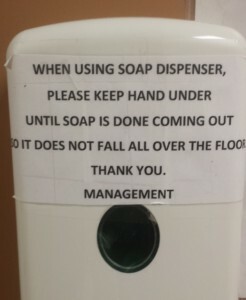 I love it when people take the time to add some creativity and humor to life’s more routine tasks—especially if the humor wasn’t intentional. 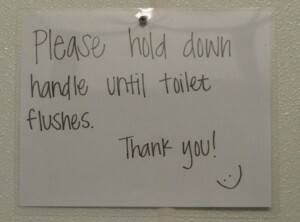 This post is purely for fun: pictures of signs I’ve seen in restrooms that made me laugh. This one came through my Facebook feed and was too good not to add to this post. 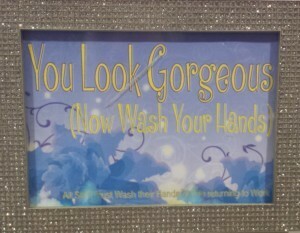 This sign is in the restroom at South Lake Presbyterian Church in Clermont, FL. Years ago, the old Townhouse Restaurant in Oviedo, FL had a cute sign that said something like, “Make your mother happy — wash your hands.” It disappeared; I think someone stole it. 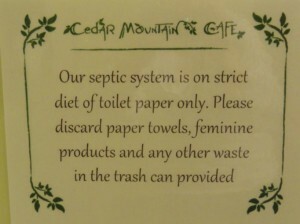 This sign is in the ladies’ restroom in the new Townhouse Restaurant. 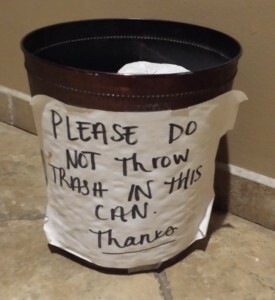 At Marco’s in Brevard, NC, they use something that looks like a trash can to hold extra rolls of toilet tissue and have to ask people to not use it as a trash can. 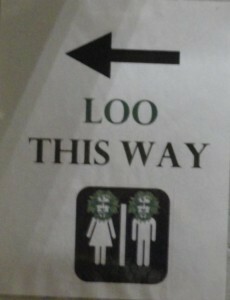 Not in the restroom, but a clever sign directing folks to the facilities. I guess they figured folks wouldn’t understand motion sensors. Christian Help is one of our favorite charities. Their mission is to end homelessness by helping people find jobs and become self-sufficient. 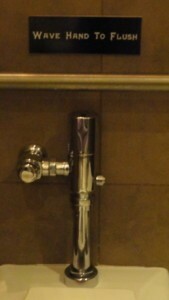 Their building is old and the plumbing leaves something to be desired. 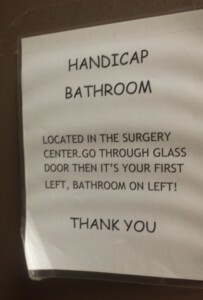 As a writer, I didn’t know whether to laugh or cry at the grammar and syntax errors in this sign telling patients and visitors at Florida Eye Clinic where the handicapped restroom is. 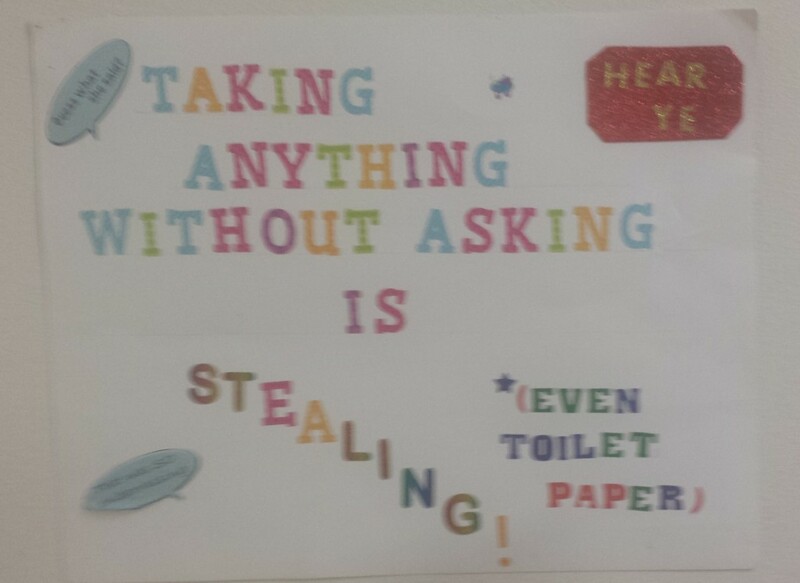 Another medical office literary gem. I suppose this is one of those lawsuit-prevention signs. 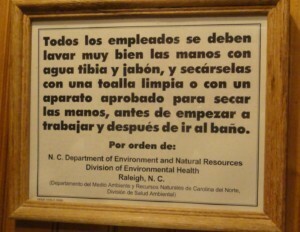 The state-required instructions for washing your hands in a Mexican restaurant in Brevard, NC. 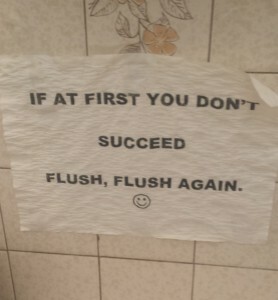 I didn’t see the English version in that restroom. 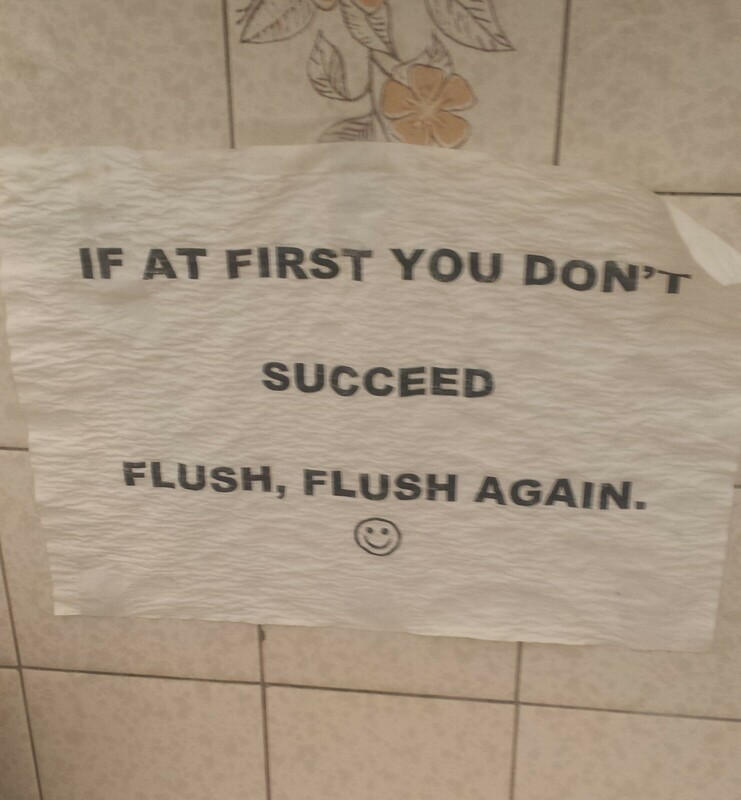 A clever reminder that has probably saved this restaurant some plumbing bills. A warning of a slight operational delay from someone who is smiling. 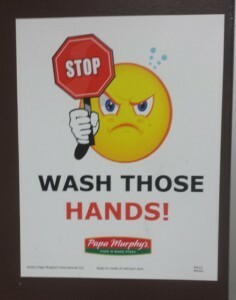 A cute hygiene reminder from Papa Murphy’s Pizza.